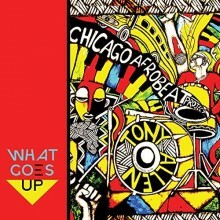 The newest release from the Chicago Afrobeat Project, What Goes Up, builds upon the group’s strong foundation of recordings. The already large ensemble heavily features guest artists on its latest album, including Nigerian afrobeat drummer Tony Allen (who has worked with the legendary Fela Kuti, a pioneer of the genre) as a featured artist on each of the album’s tracks. 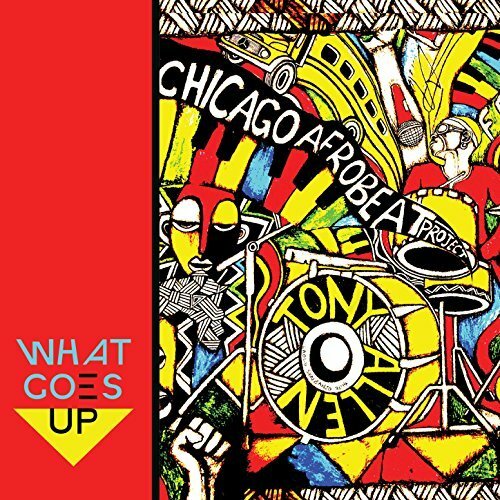 The Chicago Afrobeat Project has always drawn heavily from funk-influenced afrobeat styles, and, as the group’s name implies, continues this basic approach on its latest album. The 14-member ensemble features great arrangements for its full horn section on cuts like “Race Hustle,” but moves somewhat outside of traditional afrobeat expectations on other cuts, as on the extended synth intro to “Cut the Infection.” The group incorporates some jazz fusion influences on the polyrhythmic cut “Must Come Down,” interpolating wah wah guitars with African rhythms more typical of the group’s style. Unlike the work of afrobeat pioneers like Kuti, the lyrics on What Goes Up tend to be more pop-philosophical than explicitly political, with tracks like “No Bad News” vaguely addressing the importance of ancestors and the evils of corporate pollution, but without finding specific figures to either praise or criticize. “Marker 48” continues in the same vein, arguing that humans cannot continue to exploit the Earth’s resources, but without addressing who is using most of these resources, who benefits most from extraction, or what could be done to change this pattern. This group is at its best on songs like “Afro Party,” when taking more of a celebratory than a critical lyrical tone. It is difficult to level poignant political critique in any kind of music, let alone music this sharply focused on creating textures and grooves. This group puts forth great effort, but ultimately lacks the specificity necessary to compellingly address social issues in most cases. With that said, the Chicago Afrobeat Project can groove—each track feels great, and there’s exciting rhythms and melodies to go around. This is in large part due to the strength of its members’ musicianship and their strong connections to both afrobeat music and the other genres they incorporate into their approach. For the Chicago Afrobeat Project, the audience is What Goes Up—up out of its seat and onto the dance floor.